Take a look at our Google Tour to experience the restaurant for yourself. 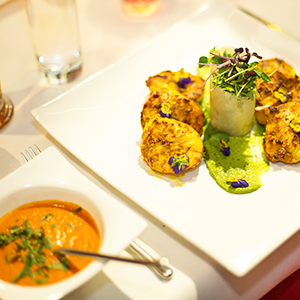 MemSaab is a fine dining Indian restaurant in Nottingham comfortably accommodating up to 200. 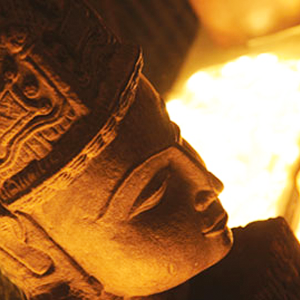 Featuring traditional, perfectly spiced curries through to modern Indian cooking, the menu, like the interior design captures the essence of India whilst placing MemSaab firmly in the 21st century. 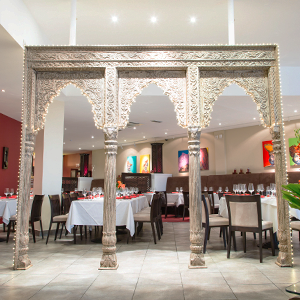 Amita Sawhney, owner of MemSaab continues to focus on raising the experience of Indian fine dining whilst remaining accessible, affordable and most importantly enjoyable! Between the team of chefs there is a strong knowledge of regional Indian, Pakistani and modern Indian cuisine with each chef further influenced by their individual style. Delicately spiced barbequed meats, the flavours and cooking methods uprooted from the streets of Lahore, modern Indian cooking refined in London kitchens and traditional curries, still the staple of Indian and Pakistani households remain firmly in the hands of individual specialist chefs.